The State of Qatar requires that non-citizens obtain leave notification to exit the country. International students must do so in order to leave Qatar for any reason. NU-Q international students must submit leave notifications through our online system to obtain an exit permit. 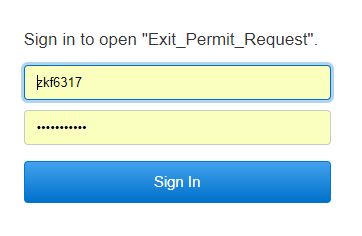 After logging in, you will be directed to the leave notification form. 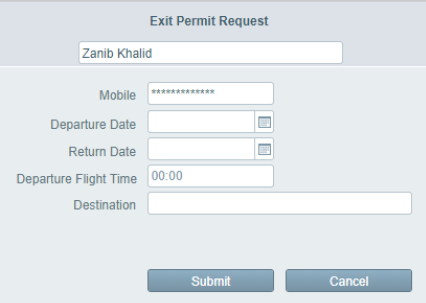 Fill in your flight details and mobile phone number (you may need to correct the auto-filled information if it is incorrect). You will receive a confirmation message that your request has been submitted. 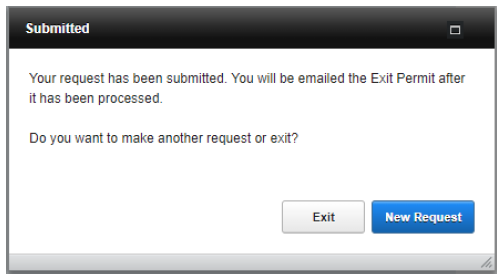 You can chose to exit or make a new request by clicking New Request. Please submit your request 7-10 days before travel. If submitted later than this, NU-Q will place a fine of 100 QAR on the student and cannot guarantee that the student will receive a permit before departure. Repeat offenders will receive a fine of 500 QAR. The permit is valid for travel within 6 days.